Ain’t Them Bodies Saints is the quiet sort of Neo-Western I often have a lot of esteem for, even if I don’t quite take to the film the first time through. All of the classic genre elements are here: the outlaw, the sheriff, the homestead, buried treasure, and a past that never quite becomes past. Writer/director David Lowery doesn’t try to flip the script on the genre, but rather uses these familiar signposts to help us better understand the players involved in this particular tragedy. The film opens with young lovers Ruth (Rooney Mara) and Bob (Casey Affleck) on their last job, which ends in a shootout. Ruth downs one of the lawmen, Patrick, (Ben Foster) and Bob takes the blame, for love and because Ruth is pregnant. We jump ahead about four years, where the former criminal ringleader, Skerritt (Keith Carradine), is taking care of Ruth and her daughter and Patrick keeps an eye on them as well. Bob’s escape from prison sets in motion the breakdown of their status quo, forcing these characters to make some hard choices. Everyone at Sundance raved about the imagery in the film, and rightly so. I found Lowery’s eye and cinematographer Bradford Young’s camera work to be captivating. Playing with light in both interior and exterior shots to create things that dance around the frame and keep us focused. It’s a good thing too, since the plot is just a notch above aimless, simple and stripped down. Without these attention-demanding visuals, I would have found it easy to mentally wander from the film. The Malick comparisons are easy, but I find Ain’t Them Bodies Saints holds up favorably to Derek Cianfrance’s The Place Beyond the Pines from earlier this year, given that this film has a touch more momentum than normally found from either of those filmmakers. There are no heroes in this story, and Ain’t Them Bodies Saints steadfastly affirms complex humanity over archetype. It’s not a perfect film, because the story takes too much of a supporting role to the imagery and characters. Judged on its own terms, however, the film is a solid entry in the genre, though lacks a solid “it” to point to when compared to superior films like No Country For Old Men. 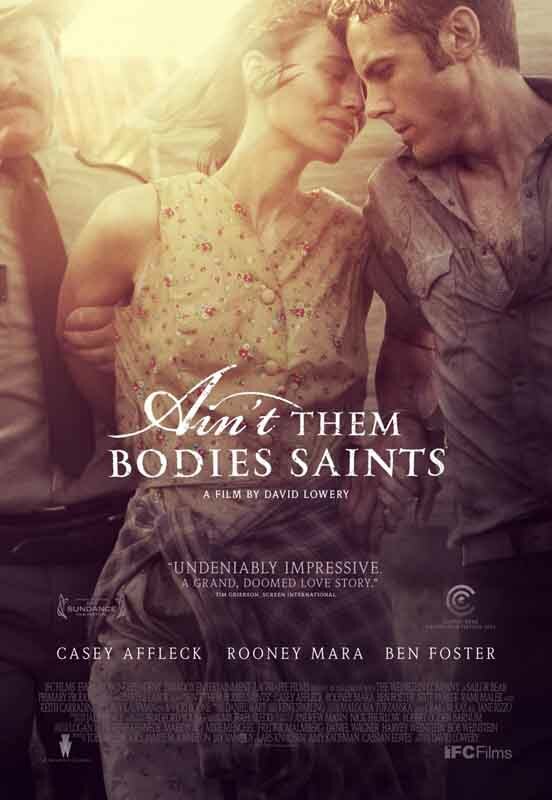 Ain’t Them Bodies Saints opens today in Philly area theaters.